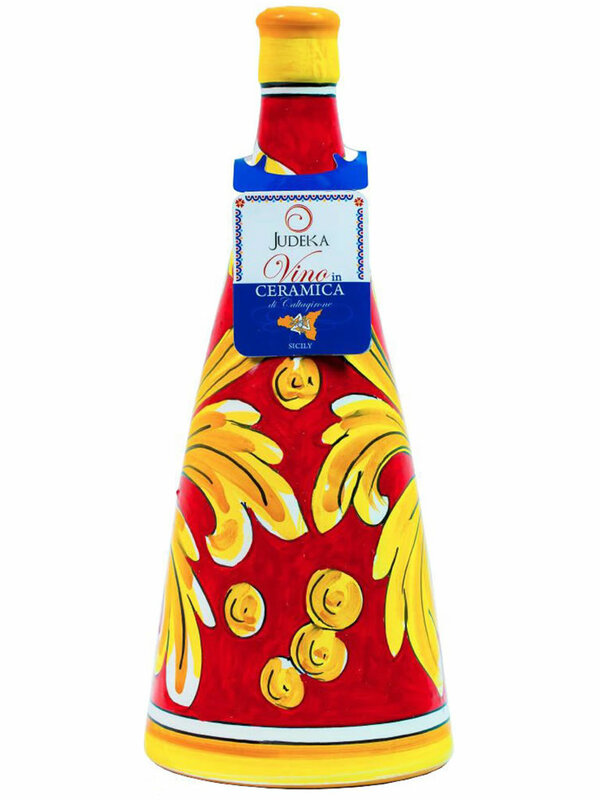 Judeka offers a range of artistic ceramic bottles from Caltagirone: 4 with a burgundy shape and 4 with a conical shape, modelled on a lathe and hand-painted by skilled local artisans. 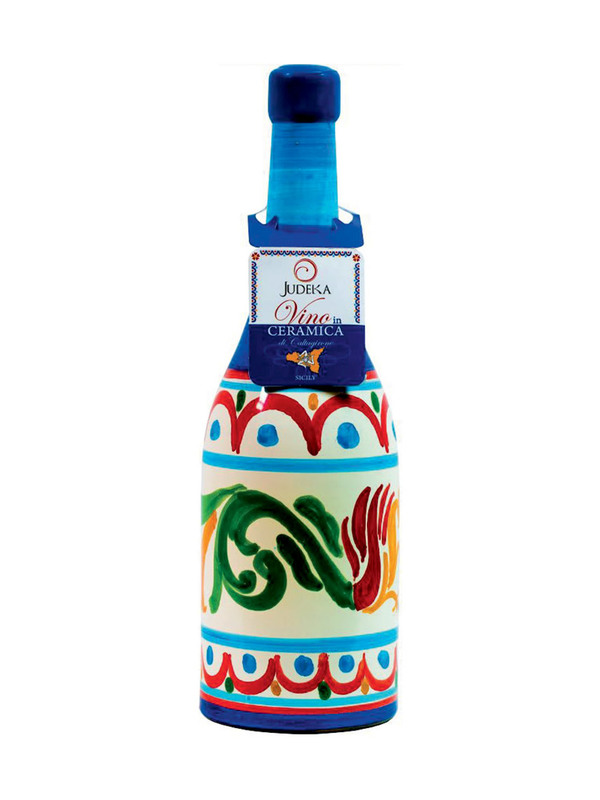 The wine inside is pure Nero d’Avola, which has more structure and lends itself to aging, while the decoration design changes but are made with lead-free enamels, suitable for conserving edible products. Small differences or slight imperfections are why they are special and synonymous of “handmade”. 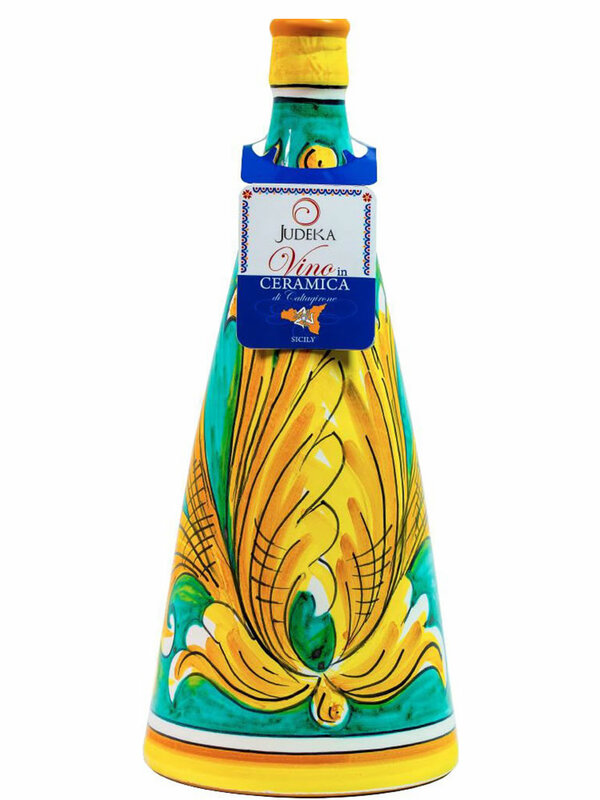 The Judeka bottle remembers Sicilian carts. 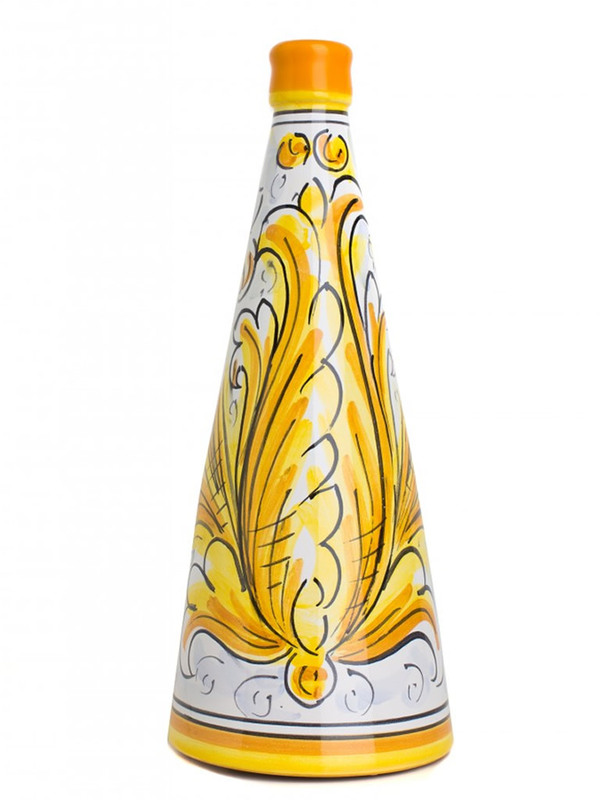 Seicento takes on the brushstrokes of the 17th century ceramic painters. Dominated by Moorish motifs and a turquoise colour derived from the Catalan influence: as Catania and Syracuse were both full of Catalans back then. 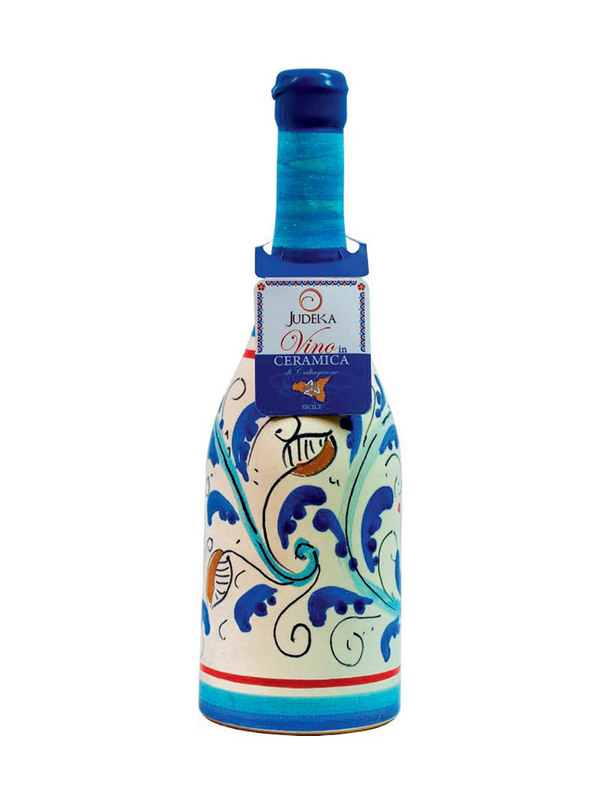 Palermitano, has a design that honours the island’s capital. Sud, remembers the warm colours of the South of the world. 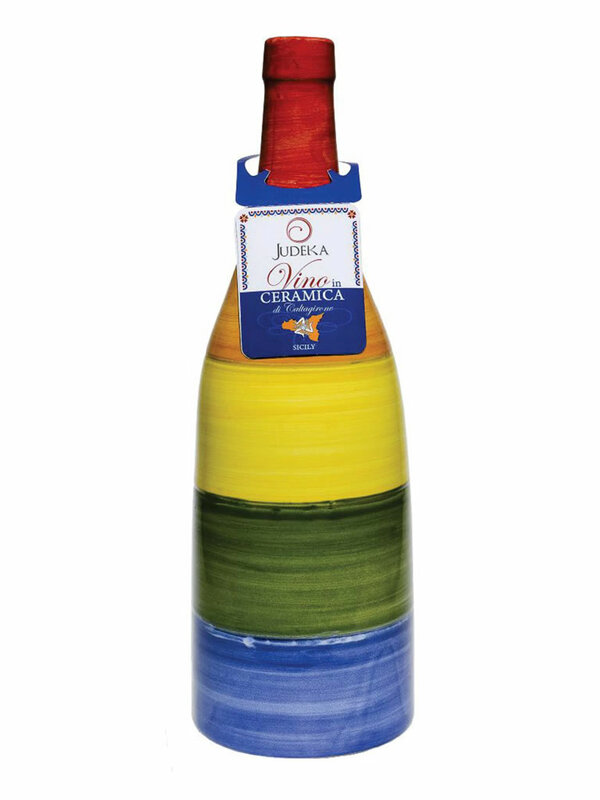 And then: Speranza, Passione, Orizzonte and Purezza each have their own corresponding background; green, red, blue and white. 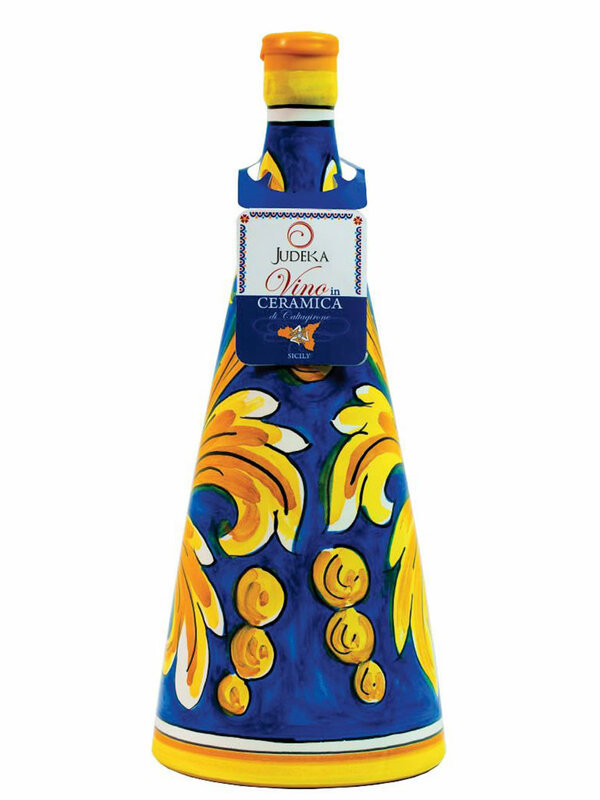 All with the classic ornateness of Caltagirone. 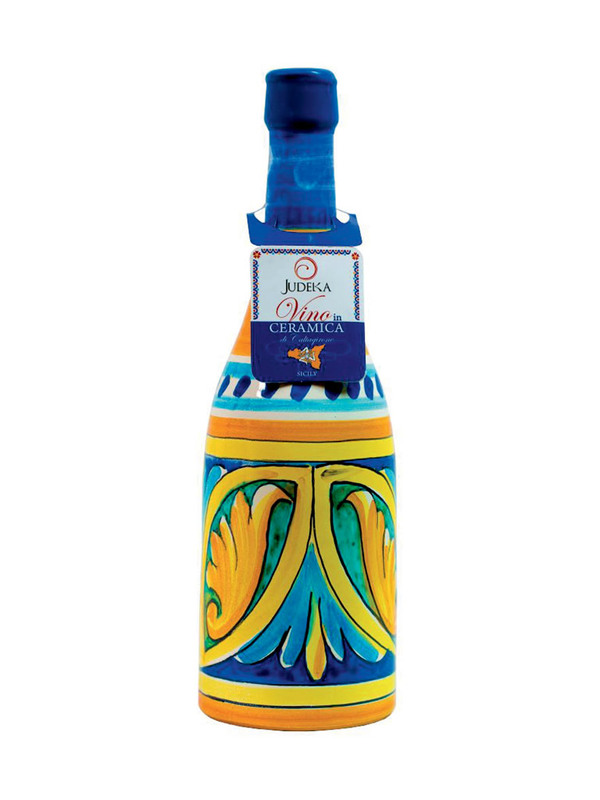 Screen-printed glass, instead, for the ampoule-shaped Dolcesuolo bottle. No labels here but instead, on a pendant, dried grapes which bear witness to the fading of the vineyard. And a wax seal on the top.